I've been taking a break from blogging for a few weeks due to spending time with family and friends. 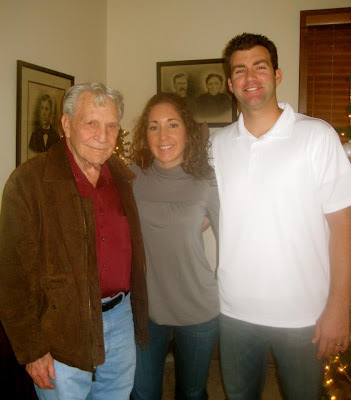 With a heavy heart I had to say good-bye to my Grandpa Bob as he passed away last Thursday, March 1st, 2012. I'm so grateful that I did get to speak with him in his final days, holding his hand and letting him know how much he meant to me and how much I loved him. Although, I know he knew my feelings before last week it felt right to reassure him just how special he was to me. I will miss him forever and always wish that he could have met our baby before his passing, but know I will see him again someday.